Catering is also available, either on premises for your bowling party or off site. For a great meal in a fun and friendly place, visit us today. We'll cook up something good for you. 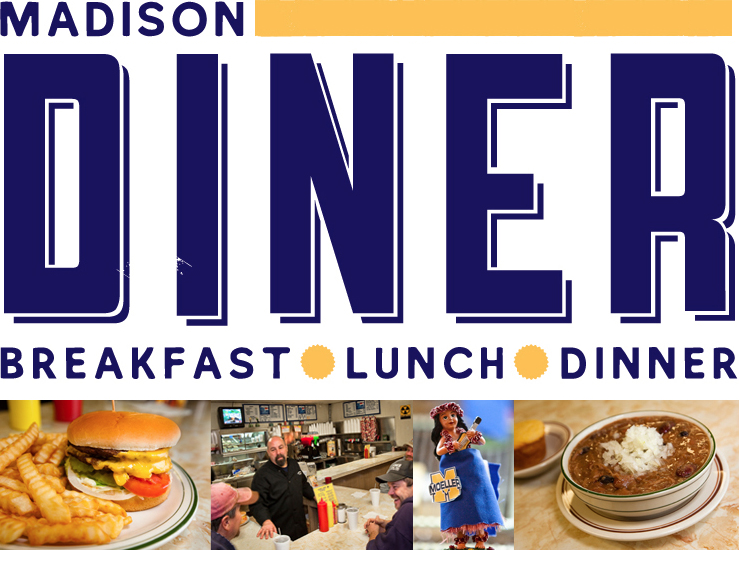 Madison Diner is open daily, 7:30 am - 11:00 pm. We are in the back of Madison Bowl, 4761 Madison Road, Cincinnati, Ohio. Reach the diner through the bowling alley's front entrance or by the rear doors. Madison Bowl features 32 lanes, a bar, and plenty of parking, front and back. Phone (513) 271-1270 or order online.